In today’s blog post I’m going to talk about ‘weight loss perception or ‘diet perception’. What our friend’s perception is of our weight, what our perception is on our own weight and our body and finally the reality of our weight. This is something that is, will or has affected everyone at some stage even if you are trying to lose weight or not. Anyone who has lost a significant amount of weight will probably have heard similar lines, “you don’t need to lose any more weight”, “you’ve gone too skinny”, “oh you don’t want to lose any more weight, you’ll fade away”; and you will probably have been thinking, “would you ever leave me alone!” Losing weight isn’t easy and it really doesn’t help when you have tried so hard to get to a healthy weight and doing so well when someone throws in their opinions in and brings you crashing down to earth and sort of makes you feel guilty for looking after your own health! You start to wonder – well should I be happy how I am? Or will I ever be happy with how I am?! The truth is there will probably be ALWAYS one thing or another that we would like to change even if we were our “perfect” weight or size, but becoming more healthy, comfortable and happy in our own bodies is really what it is all about and only you can decide at what stage you feel more confident in your body shape. I had several people tell me that I was silly to lose weight and that I should be happy with my body, but I wasn’t happy with my body, I was putting my body at risk to weight related health issues and I wanted to do something about it. They couldn’t understand why I was doing it, and even made me feel like I was being rude by wanting to lose weight because I was the same size as them so that was suddenly me implying they needed to do the same even though for me it was ONLY about how my weight made me feel. For me it was a personal choice about how I felt and where I wanted to be. Every person is a different shape and size, and for me I just knew that I wanted to look and feel a certain way, so stopping short just a stone or so away from my ideal goal weight was not an option for me. The thing with weight loss is it is a completely PERSONAL thing, what will make one person happy will not make another person happy and this will also depend on your personal size and shape as not everyone will look the same even if we are the same height and weight! The great thing is that we are all different – the world would be a very dull place if we were all the same! Ireland has one of the highest rates of obesity in Europe. 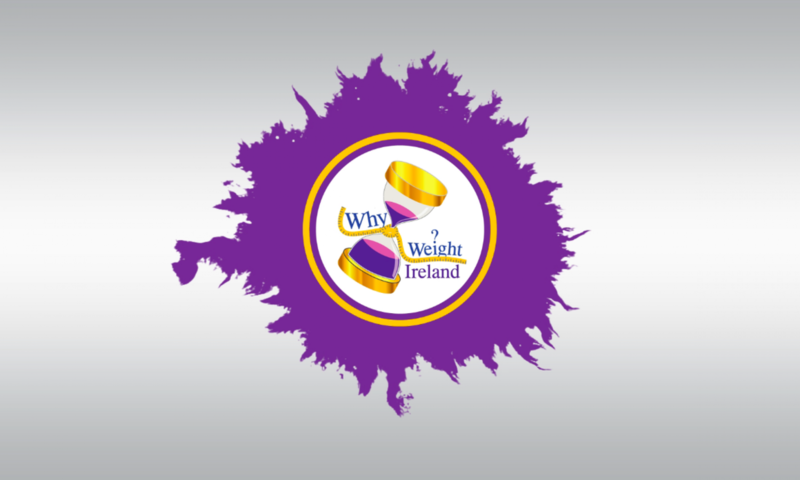 Due to the increase in the obesity level in Ireland our perception of what is a ‘Normal’ weight has gone haywire. When the majority of people are in the overweight range our perception of what is normal also changes and this is where the problem lies. Just because the average weight and dress sizes are increasing it doesn’t mean that yours has to be too. I remember when I was gaining the weight I had a friend who was always a size 12 – the bigger I became the smaller she looked to me and I kept saying she had definitely lost weight (even though she was adamant she had actually gained a few pounds and crept up to a size 14) I remember thinking she’d gone so slim, all the time never even thinking it was because I was getting bigger! On the reverse side of this when I had lost the weight I remember seeing a comment on Facebook saying something along the lines that I looked way too slim and looked like I had an eating disorder (which at a size 10 I certainly did not) I was a normal and healthy weight and at that time smack bang in the middle of a healthy BMI, I suppose the person making that comment must have seen what I used to see with my distorted view on what was actually “normal”. There are similar comments on a post I read regarding a recent advert from Debenhams using a plus size model alongside a petite model – there were comments like “that girl is too skinny its not healthy to be so thin” – however looking at the picture, she is a very healthy shape and size for her frame which again perhaps illustrates some of our warped perception on what is actually healthy and what is not. For me it is definitely about the feel good factor. The main aims for weight loss are definitely NOT to be super-skinny or have everyone walking around in size 8 – 10 clothes, it is about each individual being comfortable in their own bodies but more importantly as healthy as they can be with a healthy body fat percentage. Depending on our genetics and how our bodies are made, how much muscle mass each individual has there will always be differences in our shape and weight even if we are the same height and clothes size! For anyone trying to get fit and healthy and shed the pounds and inches a good guide is to measure your body fat % and reduce that down to a healthy range. Reducing your body fat percentage is not about being a “perfect” size but about being healthy and reducing the risks of diseases associated with high body fat. We should be congratulating, supporting, caring and applauding those who are trying to better their health, the health of their family and a role model for their children instead of belittling them and making them feel that losing weight is a bad thing. With the negative reactions to losing weight by friends, family and colleagues it can affect your own perception of your body. You may feel they are right and that you should stop losing weight; although you are still overweight, you are just like the majority of people, so its okay! Why is it okay? Why risk your own health because someone who is jealous or doesn’t know anything about weight tells you that you should stop? As a health and fitness professional I will always try to encourage someone to set realistic goals which will aim to take them to a healthy weight range/body fat %. With all my personal clients and members who use my online diary my goal is to get everyone to a healthy weight and a place that they are happy with. If I had listened to all those who told me to stop losing weight I would have been 2 stone overweight and feeling rotten about my body. The only person who knows how you feel is YOU. If your partner, friends or family question your new lifestyle then just tell them that you want to be fit and healthy and that they should respect your wishes and support you. Over the years I have heard from numerous people who have been belittled by partners (male & female), friends and work colleagues for losing weight and after discussing the situation with them it is usually those who have an issue with their own weight are the ones who stick their beak in. The most important thing you can do is show those people that you are STRONGER than they are. You are more DETERMINED than they are and you WILL reach your healthy goal. So don’t give in, stick with it and show yourself and everyone else that you can continue to reach your goals and become the fitter and healthier you. The next time one of your family members, partner, friend or colleague is working hard to lose weight & get fit, show them your support, offer them help, join them on their workouts and become their workout buddy, help them with food by not offering something that they are trying to keep away from, say, “WELL DONE”, “you are doing great” or “good on you”, as those simple little words make a MASSIVE amount of difference. You never know, their success may even change YOUR perception of your body and encourage you to do something about your weight. As always, my blogs are of my own personal opinion, personal experience and knowledge of working in the industry.